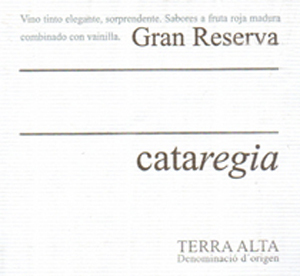 Terra Alta is the most southerly wine DO wine region in Catalonia, northern Spain. The Ancient Romans are thought to have introduced viticulture to the area. The climate is a mix of Mediterranean and continental with long, hot summers and very cold winters, when the temperature falls as low as 23F. Terra Alta is best known for its smaller producers, although co-operatives have traditionally played a vital role. The region produces a wide range of wines from grape varieties such as Garnacha Blanca, Parellada, Macabeo, Chardonnay and Chenin Blancs for whites and Garnacha, Carignan, Syrah, Tempranillo, Merlot and Cabernet Franc for reds.